Australian indie band The Triffids were ruined by a big budget for their fourth album, conflicting ideals from the label and the band leading to a long, drawn-out, over-produced disaster. Well, that’s an opinion, and one I read recently on F*c*b**k. I reckon Calenture is a damn sight better than that, but let’s look a little further back at what the band produced whilst living off the smell of an oily rag in the middle of nowhere. Compare and contrast the making of In the Pines with its successor and it becomes a little easier to understand why Calenture draws flak even now. 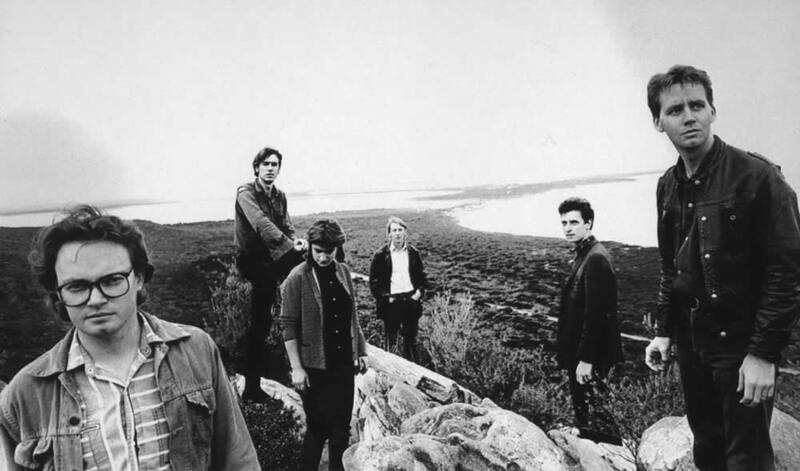 Spring 1986, The Triffids headed out into the wilds of Western Australia, armed with an 8 track machine and a mixing desk, to record an LP in a shearing shed owned by the parents of band members David and Robert McComb. It would be a relaxed affair, completely low-fi, and maybe “not suitable for the likes of Virgin”. If the sounds of the wild found their way on to the tape, no problem. David McComb wanted all of the atmosphere to be preserved in the recording, and a room microphone was used to capture as many of the noises and as much of the back chat as possible. There was so much leakage across the tracks, it was almost mono. The band made good use of ‘instruments’ found in the shed: water tanks, brooms, floorboards. Food from F.E.Daw & Son Ravensthorpe $310. Beer from Liquorland Coles Nth Perth/Wine & vodka from Hopetown Ravensthorpe hotels $340. – but the results are marvellous, heard at their best in the remixed and remastered version. It’s a fan’s favourite album, precisely because it doesn’t have the adornment of a full on studio: it’s the most honest representation of the band on record. You can feel the isolation in the evocative lyrics of the stripped down melancholy tunes, especially the lilting Born Sandy Devotional and the faux country-soul of One Soul Less On Your Fiery List. If Robert Smith had been born in Austin, maybe he’d have made music like this. There’s more than a glimmer of playfulness there too, shining through the gloom, demonstrated best by a singalong cover of Bill Anderson’s country classic Once A Day. And there’s a taste of things to come, with three songs that were held over for a ‘proper’ studio: A Trick Of The Light, Blinder By The Hour and Jerdacuttup Man all feature on Calenture in revised form. In The Pines is a classic. Every home should have it. Next Northern Soul – The Greatest Records Ever Made?